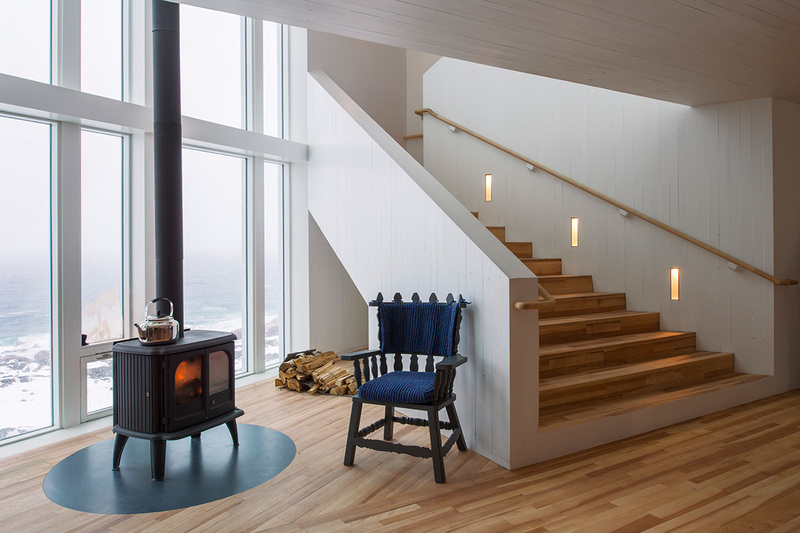 Interior photos courtesy of Fogo Island Inn. 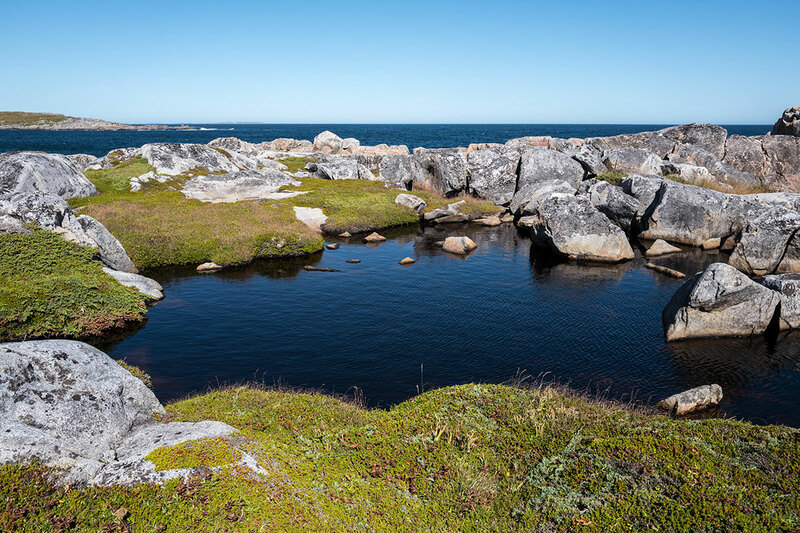 You'll have to travel to the (other) end of the earth to find a hotel (and an innkeeper) more committed to their environment (and the people who make it) than Fogo Island Inn in Newfoundland. That it's one of our is just another reason to love it. 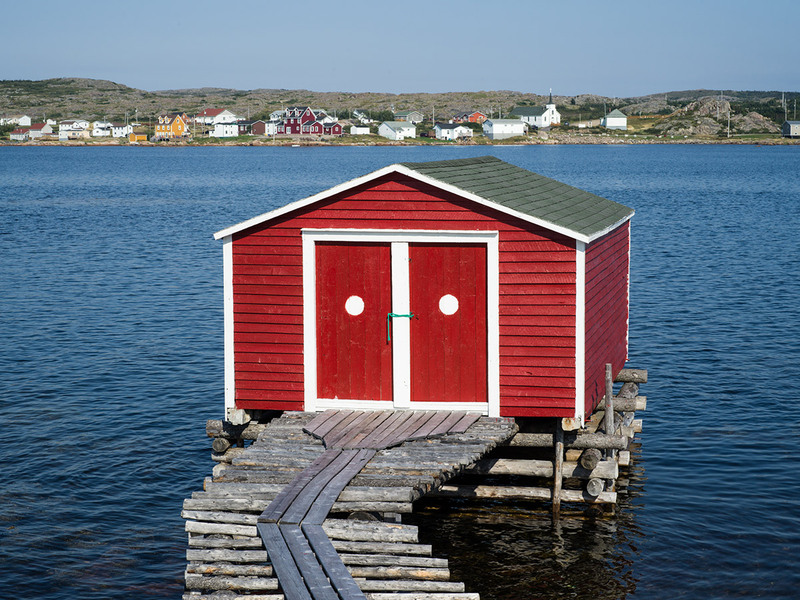 NEWFOUNDLAND – Getting to Fogo Island in Newfoundland is no easy task. But as my friend and I lined up for the Change Islands Ferry for our last leg of the 24-hour journey (we were traveling from Seattle), I knew the trek would be worth it. When it first opened a few years ago, I saw photographs of and read brief mentions of it in travel magazines. Much of the initial press focused on the inn’s unique design and its remote location, so I knew it had to be worth the travel to get there. But what piqued my curiosity and prompted a deep dive into the inn’s website was what I wasn’t reading much about: the story of how and why Fogo Island Inn was developed in the first place. So while the boat plied through the water, and we walked the deck marveling at the remoteness of Newfoundland, I had the intense anticipation that I only experience when I travel to remote, faraway places. Yet because we were in Canada, Newfoundland seemed surprisingly familiar. Inside the ferry, where passengers sipped coffee, locals caught up with each other, and guests of the inn became acquainted, we felt right at home, as if we were traveling through the waters of Puget Sound on a Washington State Ferry, and not 4,000 miles away. Fogo Island Inn at a distance. Photos by Jessica Cantlin. 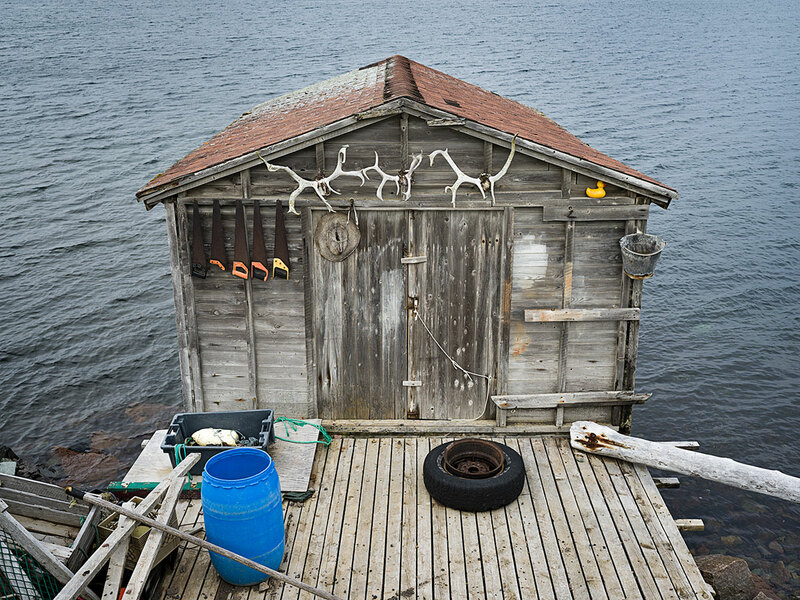 A typical Fogo Island fishing cabin. The inn is owned by Shorefast, a non-just-for-profit organization founded by Zita. It was never Zita’s intention to create a luxury destination hotel, but rather to create a beautiful space where travelers can stay and experience a new form of cultural tourism in an environment where guests feel at home. Needles to say, our conversation with Zita revealed more than any website or press could have told us about Fogo Island. After the ferry docked, we drove the short distance to the inn. There are no signs announcing its presence, but with the impressive structure looming in the distance, it’s not hard to find your way. Fogo Island is a mere 15 miles long, after all. At the entrance, we were welcomed by our hosts, two lovely Fogo Islanders named Sandra and Rosemarie, who instantly made us feel like long-lost friends. After touring the hotel, we hopped into an SUV with Eugene, our community host, who drove us around and introduced us to the ways and means of Fogo Island. By the time we returned, we knew all about Eugene’s children, the history of the Fogo Island fishing industry, the local architecture, and the considerable and positive impact the development of the hotel has had on the community. (All profits go back to the Shorefast Foundation and are reinvested in Fogo Island.) We had left on the excursion as strangers and returned as friends. It only took a brief acquaintance with Fogo Island to appreciate the impact that Zita’s idea of cultural tourism has had on the revitalization of her community. She has single-handedly rebooted the economy of this tiny island and has given the people who work for the inn something to be part of. So when I say that the people who work there are friendly and wonderful, it’s not only because they are Canadian, but also because they truly care about their product and are proud of their home. This is the most wonderful way to be welcomed as a traveler. It’s not an exaggeration to say that my Fogo Island experience has changed the way I think about travel. Rates from $;1,429 per night based on double occupancy with a two-night minimum. For full service, the can book it for you. 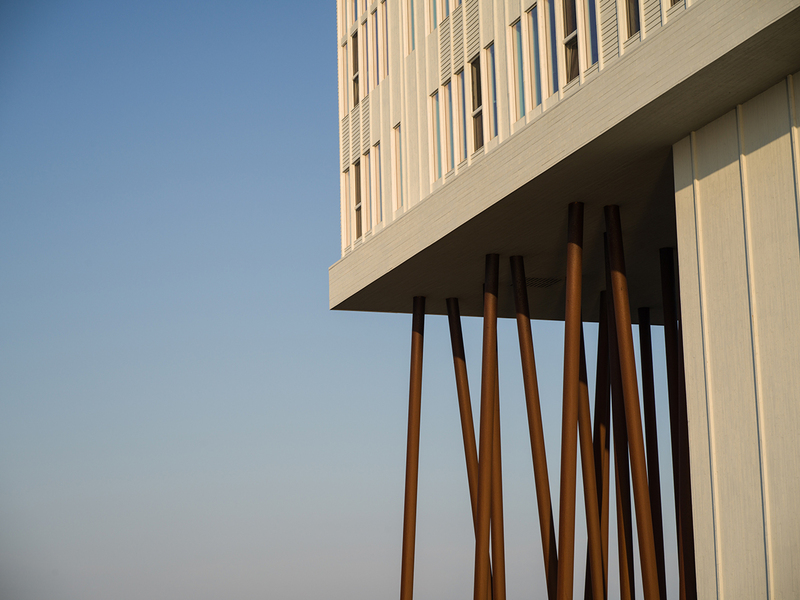 The stilts provide a fresh design. Long Studio near the village of Joe Batt's Arm. Squish Studio near the village of Tilting. With a population of approximately 2,400, Fogo Island is the largest of the offshore islands of the province of Newfoundland and Labrador, Canada. Fogo Island is located at one of the four corners of North America and is unique for its isolated location on the edge of the North Atlantic across the sea from Greenland. 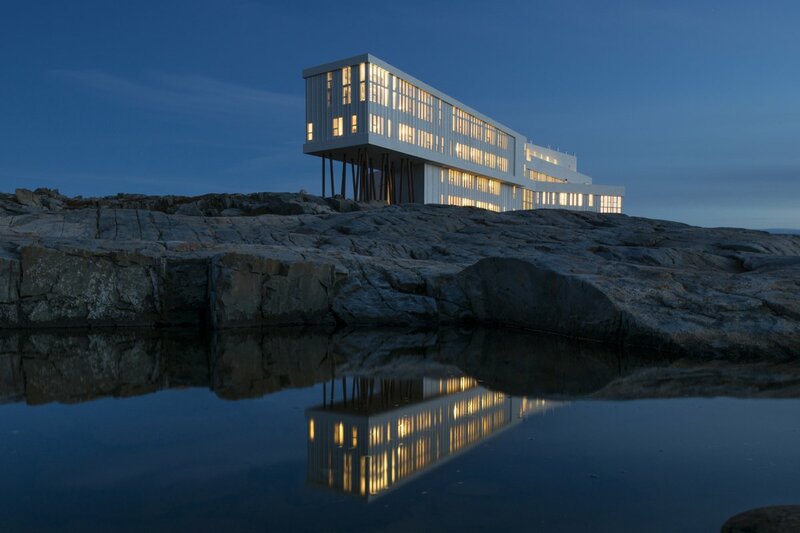 Fogo Island Inn is a timeless piece of architecture designed by Canadian architect Todd Saunders. 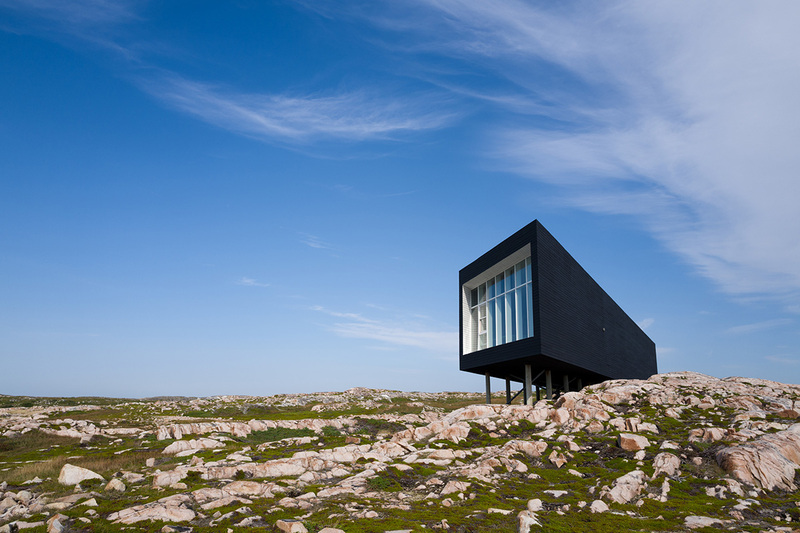 The contemporary structure, cantilevered on stilts, was designed to resemble a traditional Fogo Island stage, an over-water fishing hut built on stilts. The interiors are warm but contemporary; the finishes, light and modern. The fabrics, wallpapers, and other materials in the décor reflect the seafaring community and the island’s rich history of woodworking and quilting. Guests come from all over the world and often visit in groups. The atmosphere is friendly and welcoming. In the evening, guests gather in the bar or around the fire, and get to know one another, all draped in the euphoria of experiencing this unique place. Adventure seekers. Nature enthusiasts. Design lovers. Experiential travelers. Children. While the inn does not discourage young travelers and has a children's program, the atmosphere is oriented toward adult guests. The view from the room. Interior hotel photos courtesy of Fogo Island Inn. Have a seat at the warm lobby. Treat yourself to an amazing view while indulging in a much deserved relaxation time at the hot tub. The light's filled dining room at the Inn. 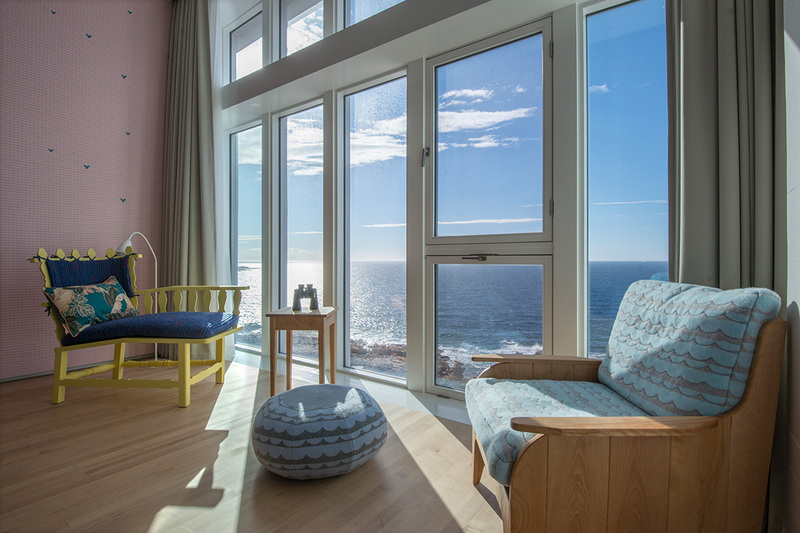 29 rooms with floor-to-ceiling windows appointed to take in the commanding views of the north Atlantic. Every room is furnished with furniture made by Fogo Island woodworkers and decorated with fabrics and quilts made by local artisans. Some rooms have wood-burning stoves to turn cold nights cozy, and all rooms have heated toilets. Beyond the guest rooms, restaurant, and bar, the inn has a number of spaces for communal use. On the rooftop is an expansive sauna and two hot tubs. After a day of hiking and exploring, a soak in the tub with an endless view of the sea is an absolute must. A cinema on the second floor routinely shows documentaries about Fogo Island and the development of the inn. The Inn also has a small gym, library, and conference space for small meetings. 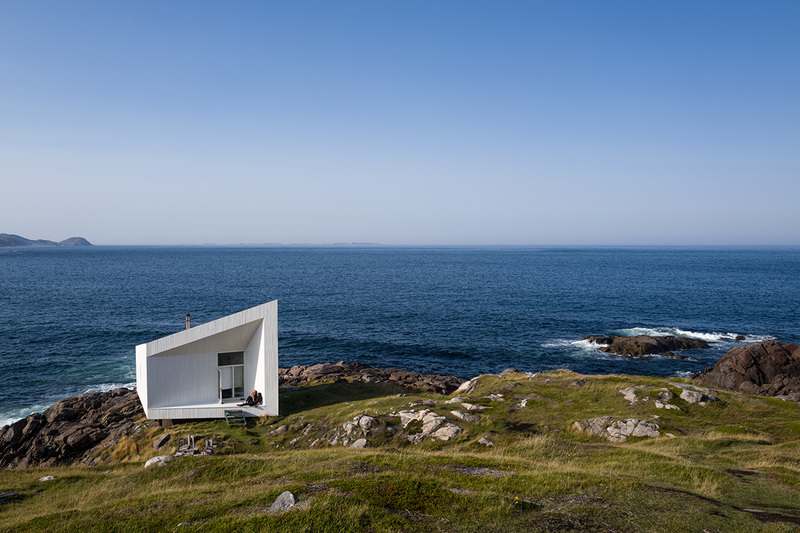 In addition to the inn, the Shorefast Foundation and Todd Saunders have built four artist studios on Fogo Island. Throughout the year, the Foundation hosts artists in residence as means of rejuvenating art and culture on Fogo Island. The studios are all accessible by hiking trails. 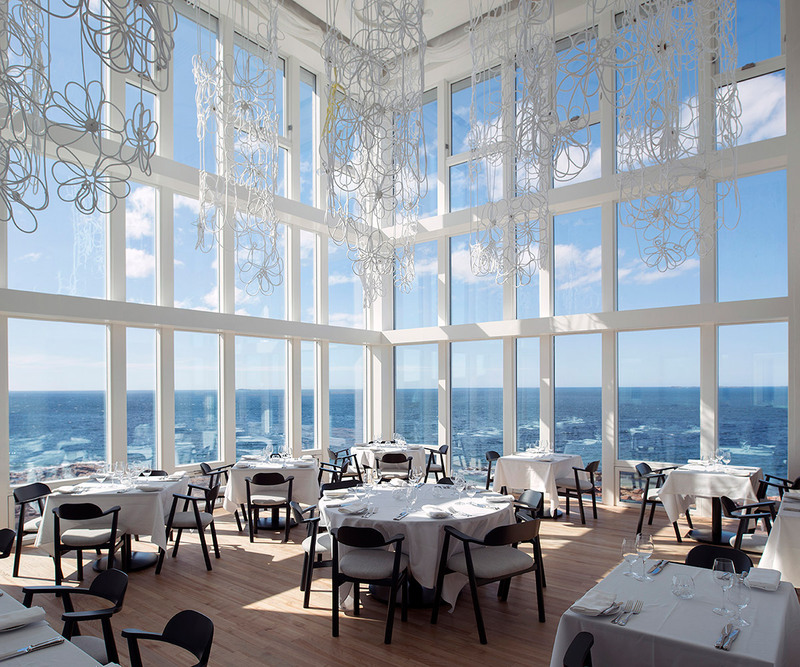 Fogo Island Inn is an all-inclusive hotel, which means that all meals, snacks, and non-alcoholic beverages are included in the cost. However, should you choose to eat at one of the few restaurants on the island, tell the restaurant you are staying at the inn, and your meal is covered. Though once you experience your first meal in the inn’s beautiful dining room (oh, the chandeliers! ), it’s unlikely that you will venture out. The food at Fogo Island Inn is fabulous. 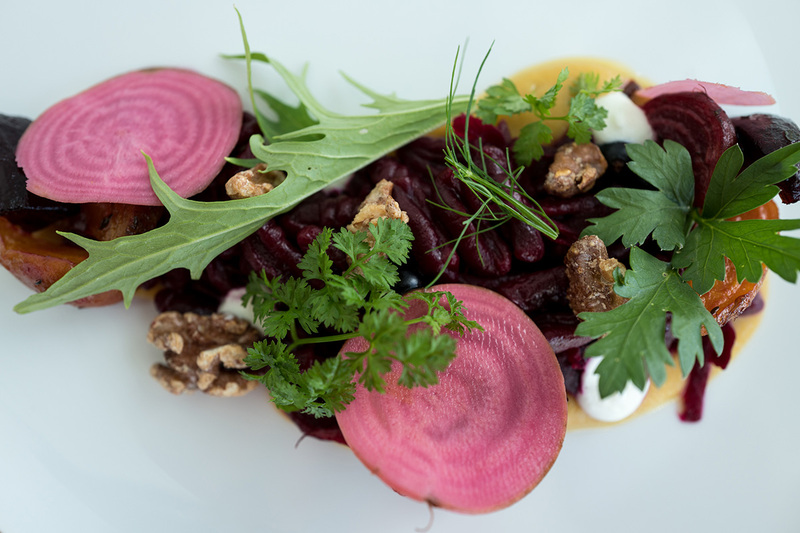 Many ingredients are sourced locally, such as fish, shellfish, root vegetables, and berries. The international wine list is limited, but consider this a great opportunity to taste the excellent wines produced in Canada. After dinner, if weather permits, ask a host to prepare a basket for s’mores and head outside to the fire pit for a little stargazing. In the morning, be sure to taste the fresh pressed juices, and the pancakes are not to be missed! WiFi is complimentary and plentiful. There are no coffee makers in the room, but before guests awake, a basket of coffee, fresh-pressed juice, and pastries is left outside the door to encourage guests to wake up at their own pace. Some rooms are equipped with wood-burning stoves, which a host will happily set and light. There are none. Except that once you come here, you’ll never want to leave. Once at the inn, a car is no longer necessary. Whenever you want to leave the property, a host will hand you the keys to one of the inn’s white SUVs along with a full, reusable water bottle. At the end of your stay, the valet will park your car in the ferry line the night before your departure to make sure that you don’t miss the ferry. Rowing in the waters near the village of Tilting. If you visit in summer and the sun is shining, join Fogo Islanders for a swim at Sandy Cove where the fine, sandy beach will momentarily transport you to the Caribbean. Don’t turn down an invitation to a Shed Party, a small gathering of locals in a backyard shed (a.k.a. man cave) where live music and other entertainment carries on. During the months when weather permits, hiking is a great way to explore the island, and Sandra and Rosemarie will be happy to suggest trails based on skill and distance. Most trails are easily accessible and well kept to accommodate all levels of outdoor enthusiasts. 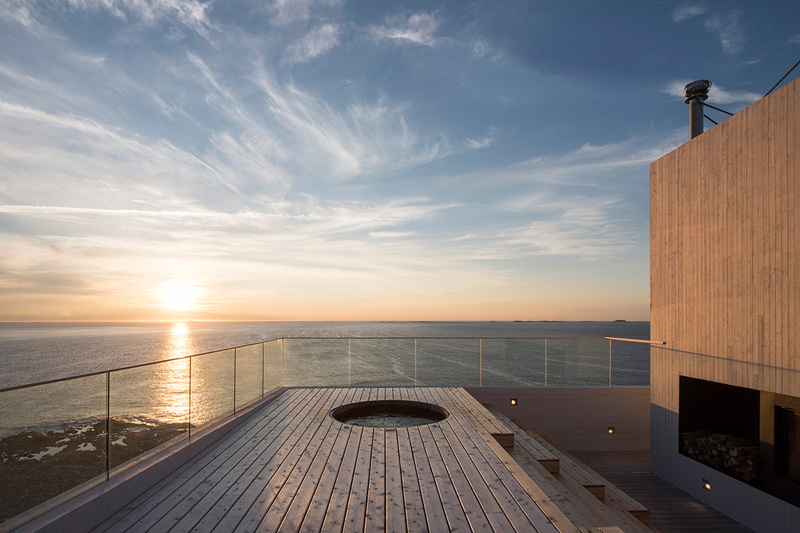 Arriving at Fogo Island Inn is no easy task, which is part of its charm. The easiest way to get there is to fly from Boston or Toronto, connecting in Halifax, Nova Scotia, to Gander, Newfoundland. 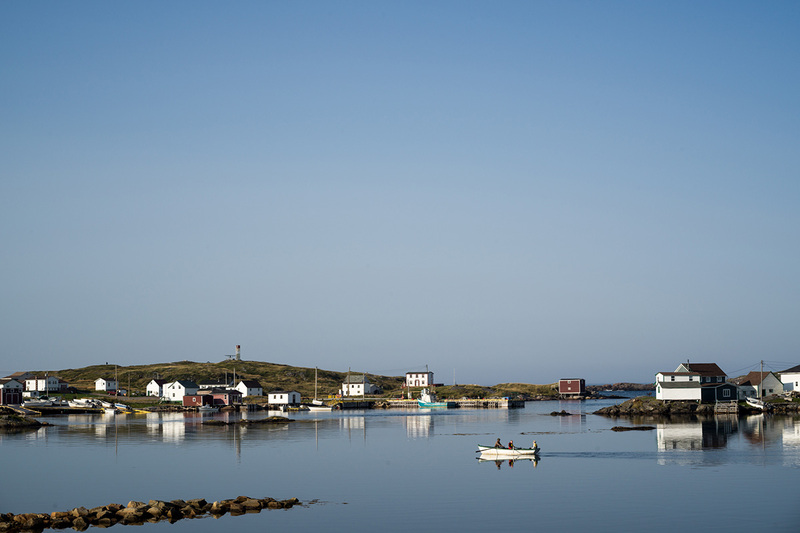 Once in Gander, rent a car and drive an hour to meet the Change Islands Ferry that connects with Fogo Island. The inn is a 20-minute drive from the ferry dock. When booking flights, consult , as there are only a few boats to Fogo Island every day. In the event that travel requires an overnight in Gander, the Comfort Inn is a short drive from the airport. If self-driving sounds like a hassle, Fogo Island Inn will happily transport you for an additional cost. 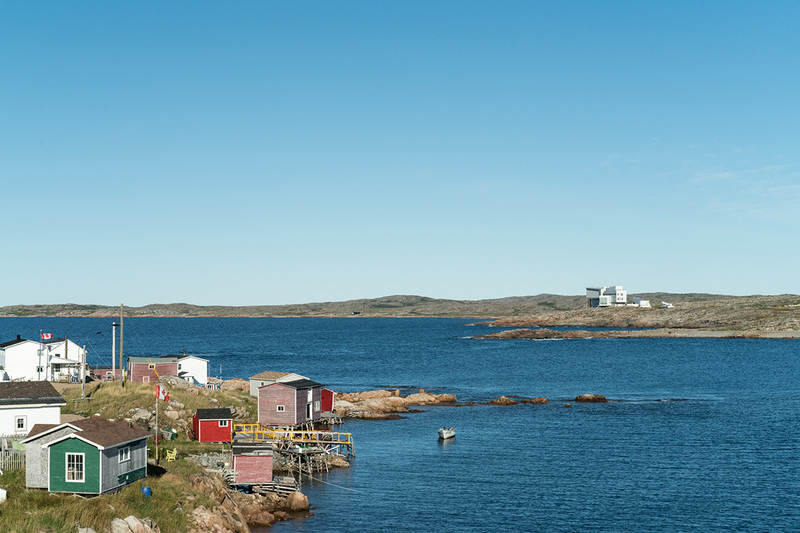 Because of its exposure, Fogo Island experiences . Travelers who visit in May and June will have the privilege of watching icebergs from Greenland float past the hotel, while guests who arrive in July and August can fish, boat, and hike the rugged coastline. I visited in September at the peak of berry-picking season, when the Island’s bogs are covered in low-lying bushes brimming with blueberries, juniper berries, and partridge berries. We spent our days hiking, exploring, and munching on blueberries. Needless to say, whenever you choose to visit Fogo Island, the landscape and weather will determine your experience.